I have a confession to make. I love Spirit Airlines. 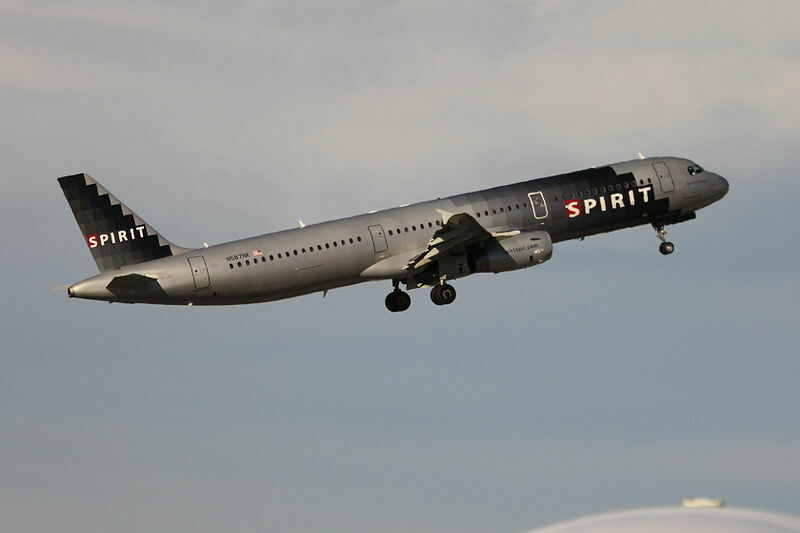 To those who have not flown Spirit Airlines before, they are known as a low-cost carrier that charges for many services that other airlines provide for free*. Fees range from using an in-person customer service representative at check-in to carrying on your bag. They don’t provide even a free drink once you’re on board! To all of this, I say good. Economics scholars who specialize in taxes often spend years studying tax incidence. Tax incidence is just a measure of who pays a tax or fee: the producer or the consumer. In short, the more inelastic the good is (the less responsive customers are to price increases), the more of the fee that is paid by the consumer. The opposite is true for elastic goods. This creates issues when public institutions such as countries decide to place fees or taxes on largely inelastic goods. For example, fees on gasoline taxes are almost entirely borne by the consumer. Is this a bad thing? Taxes serve a few purposes. They raise revenue for governments to spend money. They discourage the behavior that they are taxing however slightly. And they infuriate the Tea Party. Pigou helped popularize the concept of a Pigouvian Tax (get it? ): taxes that directly apply to curb behavior while also increasing revenue for the government. We at DQYDJ have touched on this concept many times, most poignantly with our call to increase the national gas tax. Compare Pigouvian taxes with some more familiar forms of taxation: property taxes and income taxes. For income taxes, how is behavior changed by increasing taxes. Does it become a tax on the wealthy? The healthy? The firms that employ employees or does the incidence fall on the middle class? It is difficult to parse out the exact impacts and incidence of a far-reaching tax such as the income tax because its means (I presume) lie mostly in trying to raise revenue for the government. I bring up Pigou in relation to Spirit Airlines because I see many corrolaries between their benefits over the alternative. When I mention near the top* that other airlines provide the service for free, I did not mean that. I meant that they include all the costs upfront in their ticket price. When you get a free drink on American Airlines or Southwest Airlines you are being subsidized, however slightly, by those who choose either not to have a drink or to choose a cheaper option. The same is true of checking luggage: some people are receiving more of a benefit from carry-on and checked luggages than others. This is not necessarily a bad thing, but it spreads the costs over a larger group. When comparing ticket prices, I always assume that I am going to check one or two bags at Spirit Airlines and include that into the cost. Very often, I still am saving >$100 each way on a trip. To conclude, I will delve into one specific aspect of their pricing that I love: bag charges. Now, why would a company charge more for a carry-on than checked bags? Without any inside information, I can only observe as a consumer and I am very glad that they do this. Have you been on a carrier that has a policy similar to the first recently? Customers don’t want to pay the step function baggage fees so they stuff massive amount of luggage into their bags and then try to stuff it into the overhead containers. This causes many problems: long, long, long boarding times. It also forces people to check their bags gateside which is more inefficient and slower than handling this upfront. By re-arranging their fee structure, Spirit Airlines nudges customers to check their baggages instead of carry them on, improving the boarding process as well as discouraging many bags. To an Econ nerd such as myself, I say Bravo. Spirit Airlines seems to do a great jo of increasing their revenue at the expense of their customers. I realize it is just business, but I will never use them. I don’t understand this opinion. I am arguing for them from a consumer standpoint, not just a standpoint respecting their business. When I use another airline and don’t use my entire 50 lbs of carry-on weight allowed, I am directly subsidizing another passenger. Same when I choose to not have a beverage or choose priority seating and boarding. All Spirit does is allow you to pick and choose your price sensitivities to all these shared costs (such as fuel, which is the largest variable cost on any flight). After all these “fees”, they STILL are the most inexpensive flight available the majority of time in my experience. YMMV. I feel exactly the same way. First airline to price based on an algorithm that includes baggage weight + traveler weight + seat space gets my business all day long. I’m a light traveler. Bring it on! Fine, I’ll bite: awesome. Just like a toll road alternative to a crowded public highway (where I can drive in relative comfort! ), even having Spirit Around forces other competing airlines to shape up. I’ve definitely been annoyed at how bag fees have snuck in, sometimes unannounced (with strange policies that often mean I’m paying $35 at the counter) – price clarity can’t hurt any traveler. And no, I’ve never used Spirit. Annoying but smart move to charge more for the carry-on, and they have one free item that is ridiculously small so you can’t try to fit all your life in it. That said, doesn’t waiting for your bag at the belt make up for the long boarding?